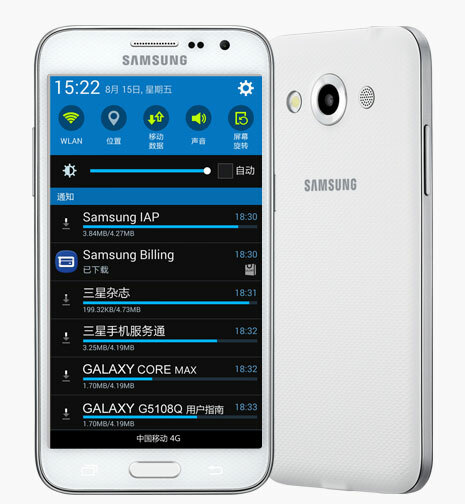 Samsung Galaxy Core Max is now official! Samsung has a range of devices in the Galaxy rage out of which the ‘Core’ is a budget friendly lineup. Recently, they have unveiled yet another new member to their family, the Galaxy Core Max sporting a 4.8” Super AMOLED display. The Galaxy Core Max (model number SM-G5108) is basically a dual SIM smartphone sporting a qHD (960×540) 4.8” Super AMOLED display featuring a quad core unspecified processor clocked at 1.2GHz along with 1GB of RAM. Although the processor is not mentioned but as it’s running on Android 4.4.4 so most probably we can skip the hope of having a 64bit processor inside. Although a leaked benchmark suggests it can be powered by Snapdragon 410 which is a 64bit processor. 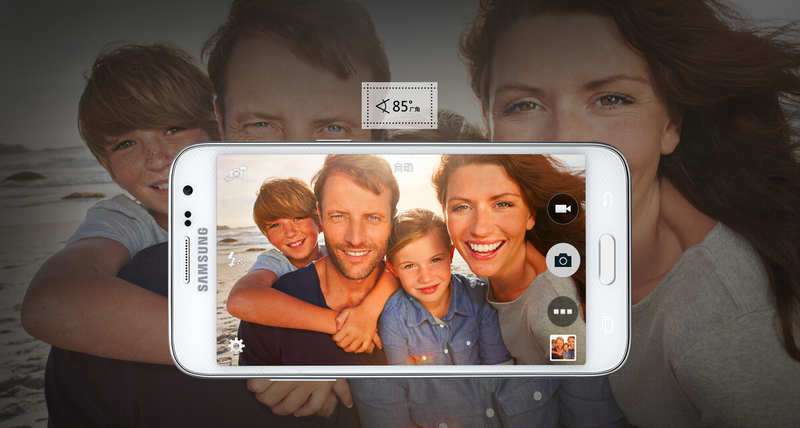 The devie has a 5MP front snapper with a 8MP rear one. For storage, the phone comes with 8GB built in storage along with microSD card support and comes with a hefty 2200mAh battery for providing a the day long backup you need. The usual support for 3G, Wifi, Bluetooth 4.0, GPS, 4G /LTE are also present. The pricing and availability information is still not available right now but it seems the device will currently be available in only white.